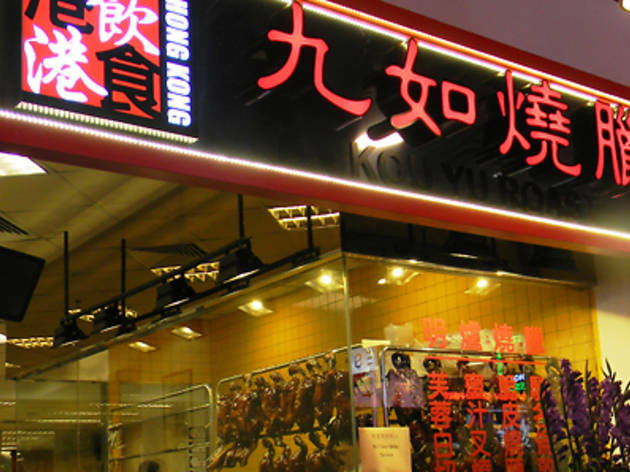 Located in the newly formed "Mongkok" shopping and dining street at Jurong Point, Legendary Hong Kong boost an extensive menu of over 300 items, with four sub-themes and respective entrances: Raosted Meats, Noodles and Congee, Dim Sum and "Bing Sut", manned by eight established chefs. 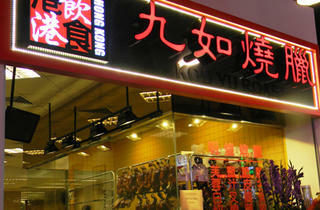 The 230-seater will provide ample space for the large lunch crowd, seaking for an authentic taste of Hong Kong. The highlight of the restaurant is no doubt its London Roast Duck - Legendary Hong Kong get their ducks imported in from Ireland by premium duck farm Silver Hill Farms, where each duck is de-feathered by hand to ensure the quality of the meat and no bruising. The London Roast Duck ($14.80 per portion, $58 whole) is juicy, tender and well marinated to give a full flavor, with a sweet herbal aroma. The Crispy Pork Belly ($10.80) is crunchy, and the fats provide more of a texture comfort than it is being too oily. Last but not least, the char siew slices are juicy with a good balance of meat and fats - something you don't get often in Singapore - its caramelized coating adding just enough sweetness to counter the saltiness of the meat.